Girish Gopinath Saraswathy Hospital, Parassala, Trivandrum,A.J. Hospital, Kazhakoottam, Trivandrum,Ananthapuri Hospital, Chacka, Trivandrum. Girish Gopinath, Saraswathy Hospital, Parassala, Trivandrum,A.J. Hospital, Kazhakoottam, Trivandrum,Ananthapuri Hospital, Chacka, Trivandrum. GOPINATH, Girish. Editor’s Note. 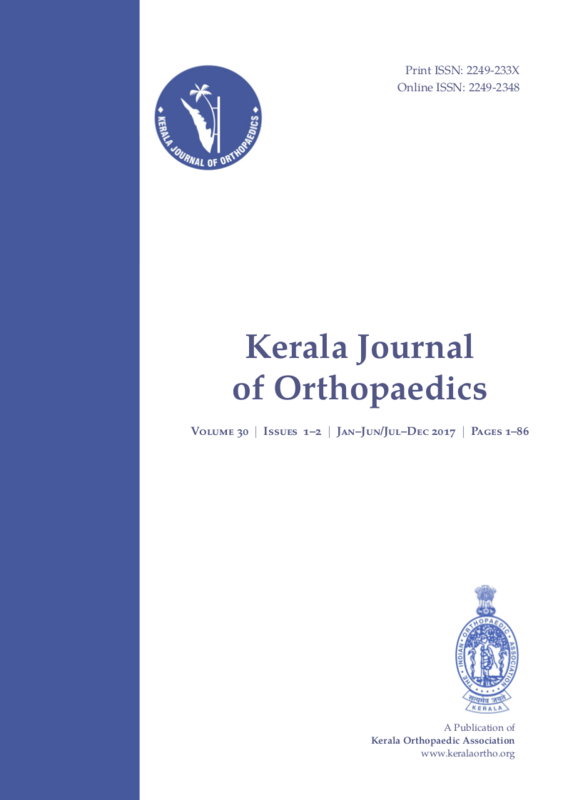 Kerala Journal of Orthopaedics, [S.l. ], v. 30, n. 1-2, p. i-ii, jan. 2018. Available at: <http://kjoonline.net/index.php/kjo/article/view/229>. Date accessed: 25 apr. 2019.